Where else but Bristol? Named after a bubbling stream on the hillside above. The water is very gaseous and gives the appearanc of boiling. Great name. Well seen, Elisabeth. That must be something to see! Very amusing Lisl, and isn’t that breeze block topping to the wall charming. Lisl: I hope you wouldn't notice, Chad! Now everyone will!! 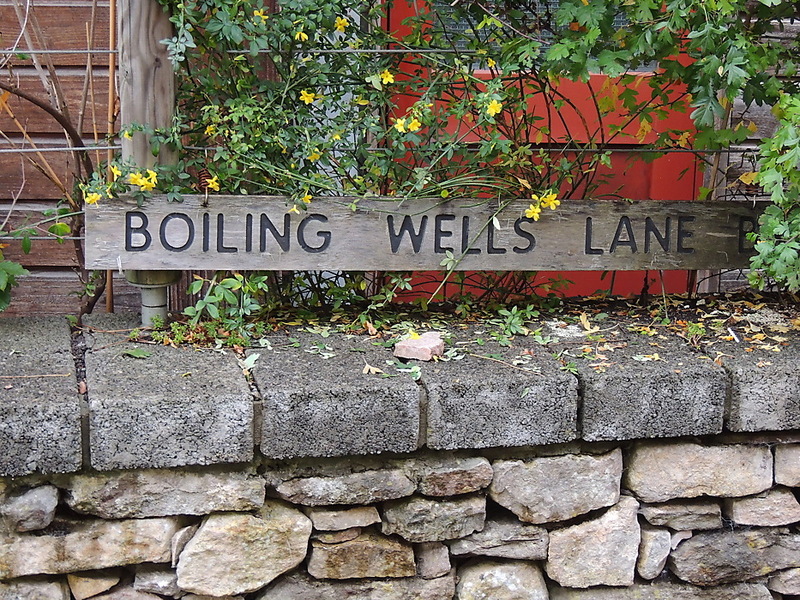 Lisl: I hope it doesn't come boiling down the lane, Marie! Did you see and hear the well boiling? I like the dry stone wall ideal for some insects. Natural fizz...do they bottle it and sell it a premium prices, Lisl? Lisl: Do you remember the super lunch we had here? Yes, in the City Farm Cafe. Very nice food and very fresh - from the farm in season. Im glad you explained this unusual name. Seemingly more than one. Wells fed by a stream ? while the text is partially hidden, i do like the shrubs, Lisl.